In recent years, consumer momentum has consistently been from artificial to natural. As natural products make their way onto the shelves in more stores, that momentum will only increase. While in the past natural colors were less intense and less reliable than synthetic colors, the natural colors of today are vibrant, consistent, enduring, and free from unwanted tastes. This guide covers the basics of natural colors, the history of food colors, and the benefits of coloring food. It then explores specific natural colors available to manufacturers. Watson is one of the highest quality suppliers of products and services geared towards enhancing human health and nutrition around the world. We are a leader in developing quality products and innovative ingredient systems for the food and supplement industries. Expertise in custom nutrient premixes, microencapsulation, agglomeration, micronizing, spray drying, and film technology allow us to develop unique formulations and products using Watson manufactured, value-added ingredients. For more information on Watson see www.watson-inc.com. About this company Watson Inc. 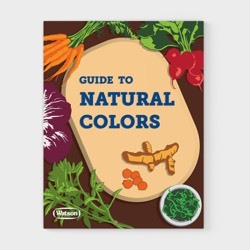 The guide covers the basics of natural colors, the history of food colors, and the benefits of coloring food.